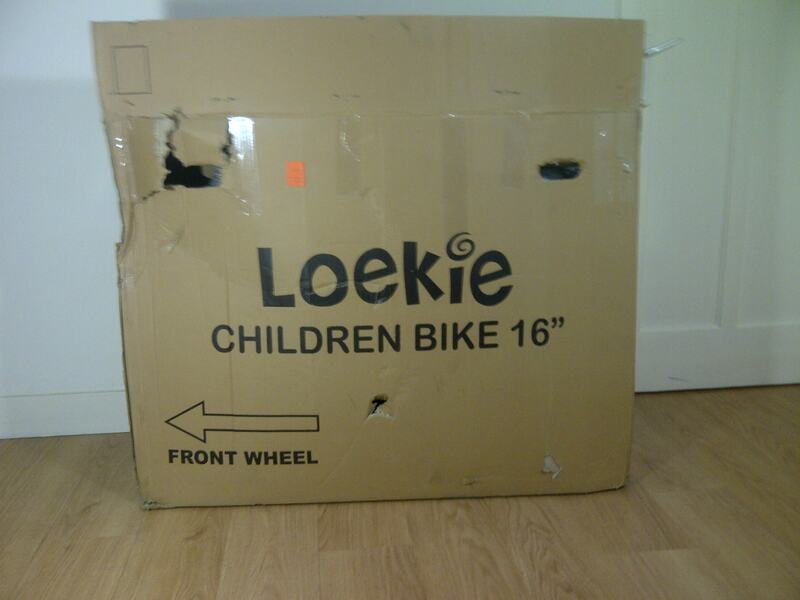 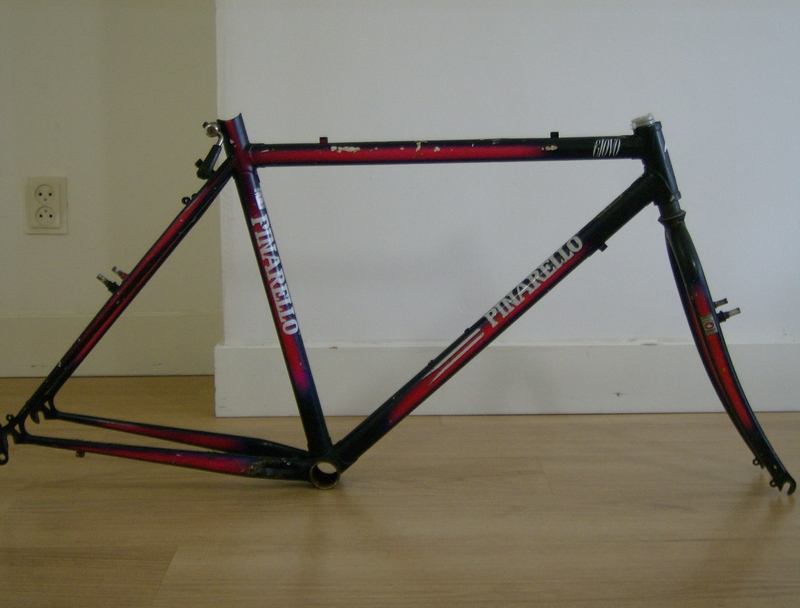 the frame is tatty, which I always see as a blank canvas. 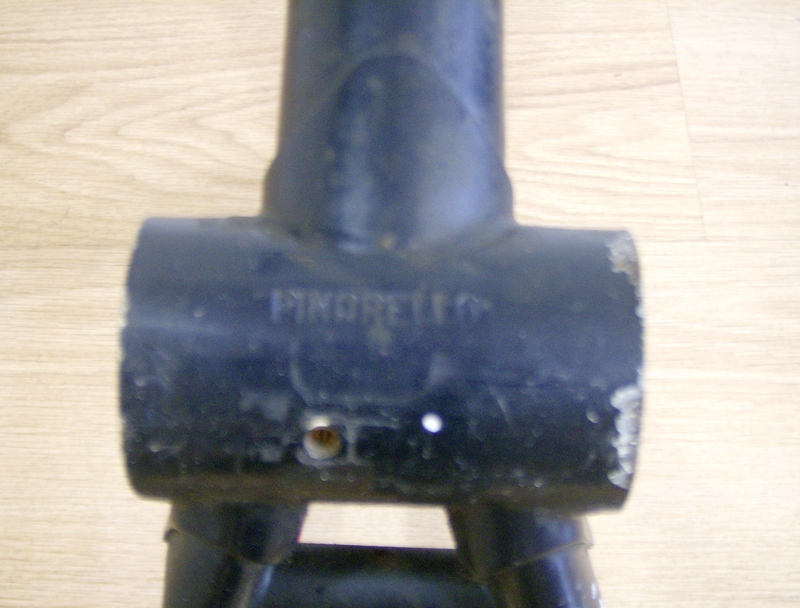 a lot bigger than the Chromor used on Pinarello Asolo’s..
With a Pinarello stamp on the bottom bracket casing underside..
for free, so I can afford a respray from my favorite refurbish-er!! 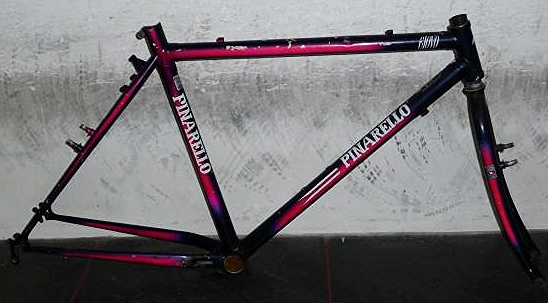 I want to keep the decals, but will get the frame done completely in the blue it is now, losing the pink. 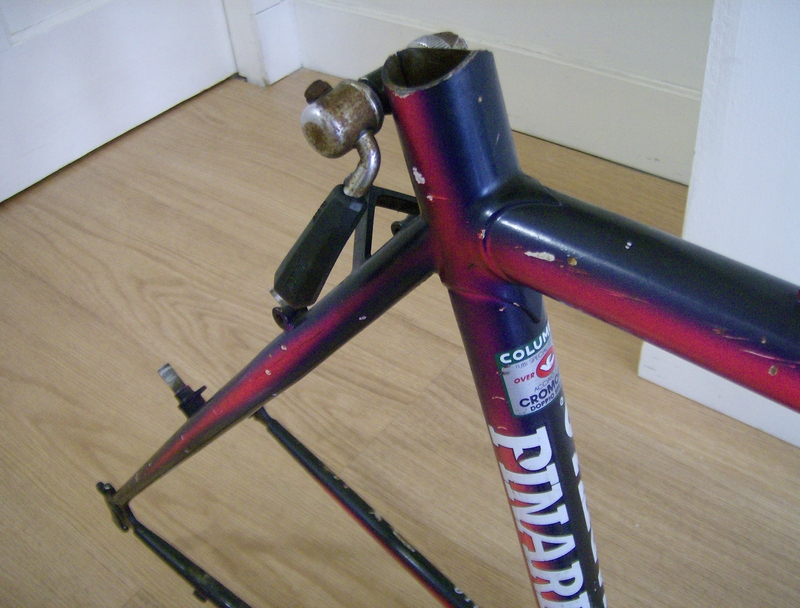 I will either anodize or powder coat the stem and bars black. 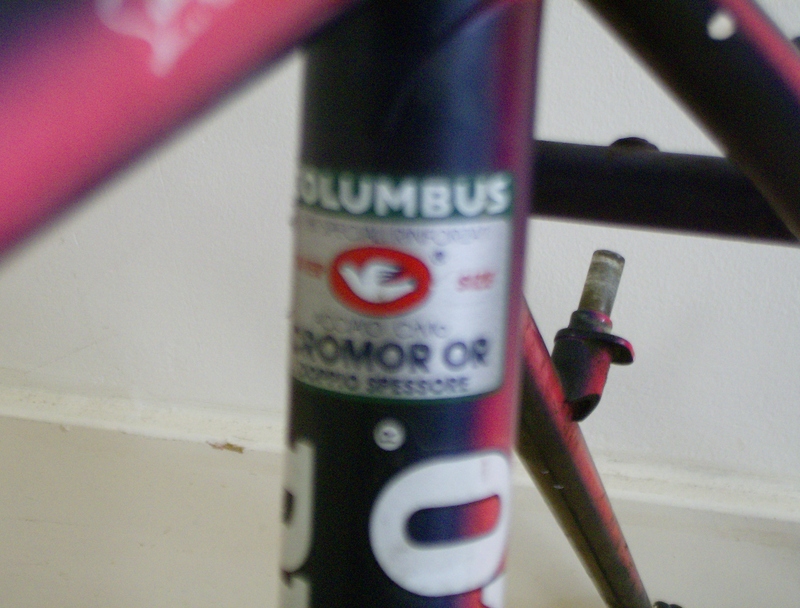 no good, which is a shame. 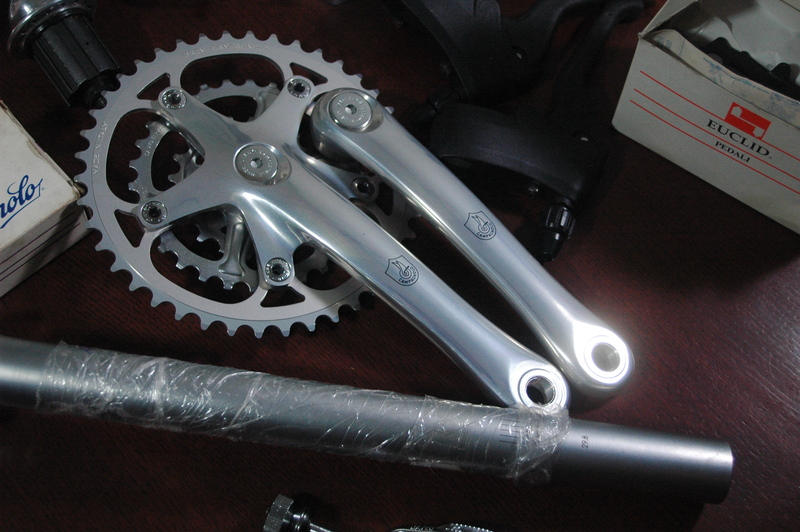 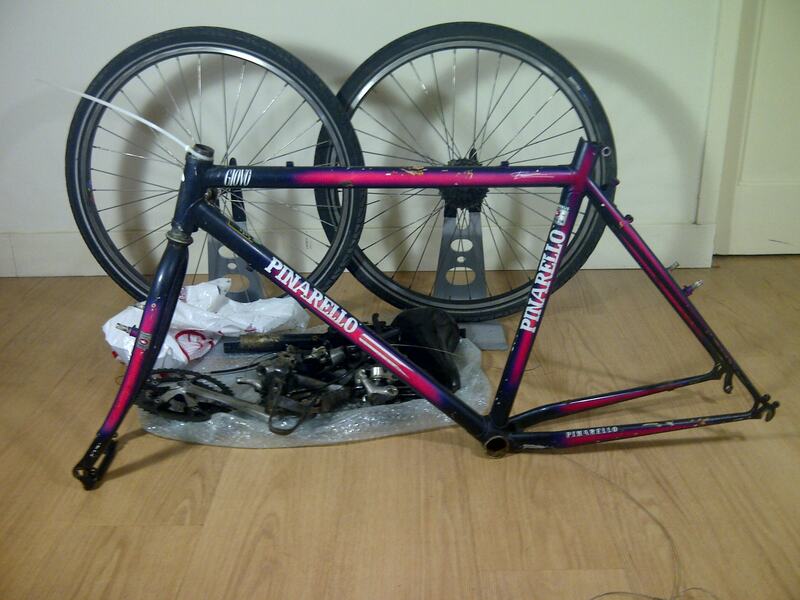 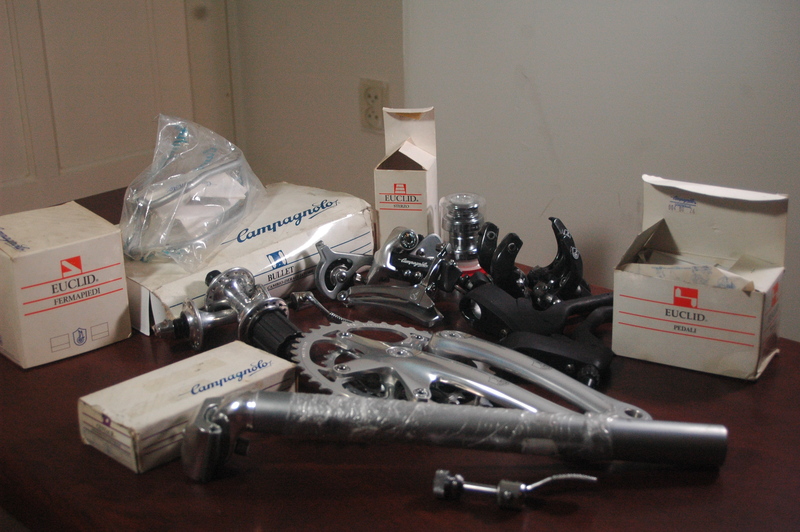 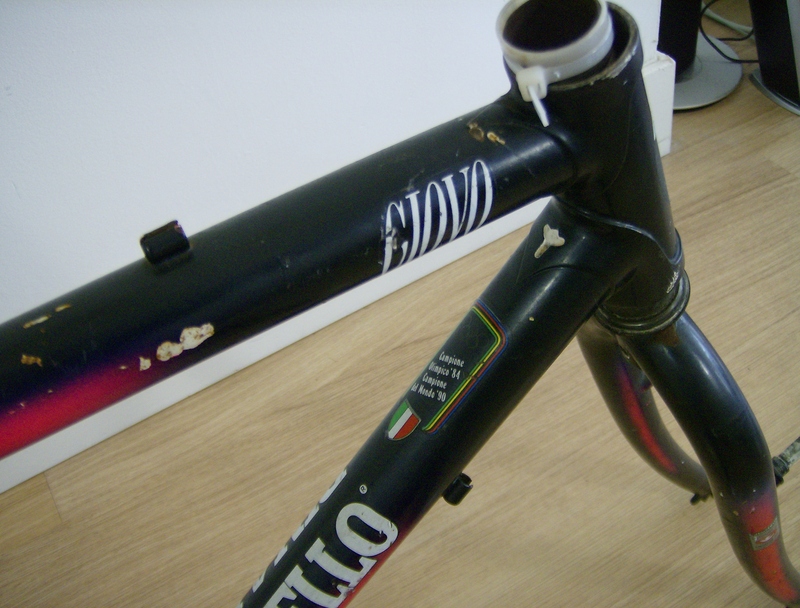 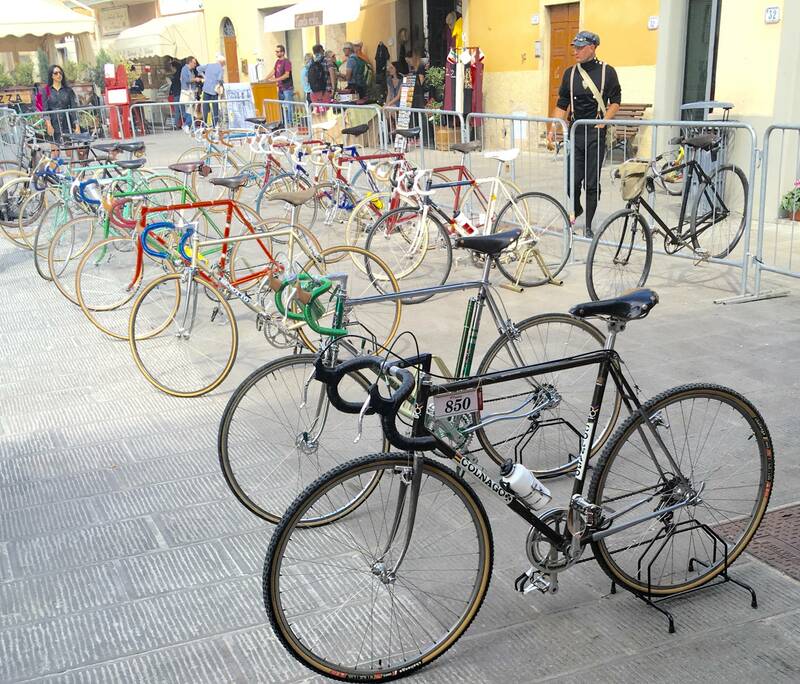 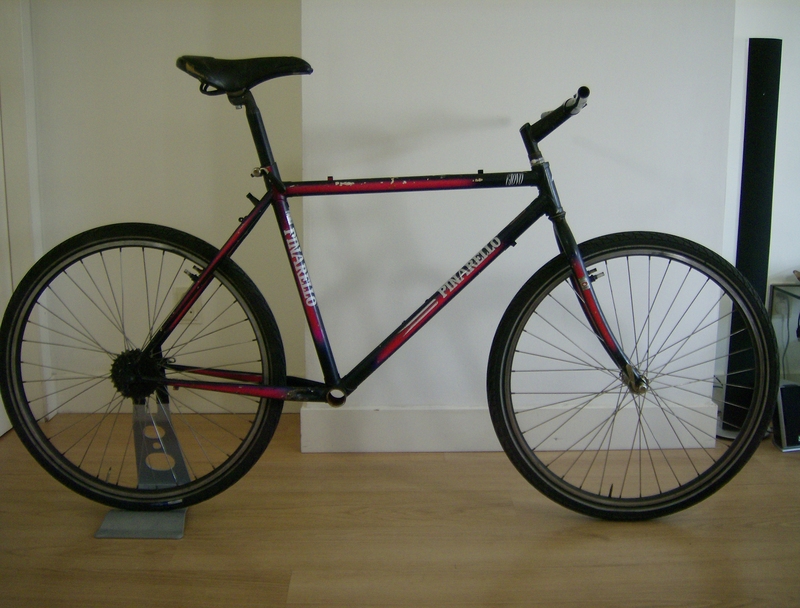 i sold the old components for 50 euros, so frameset, stem bars, seat post and saddle now owes me a handsome 25 euros.